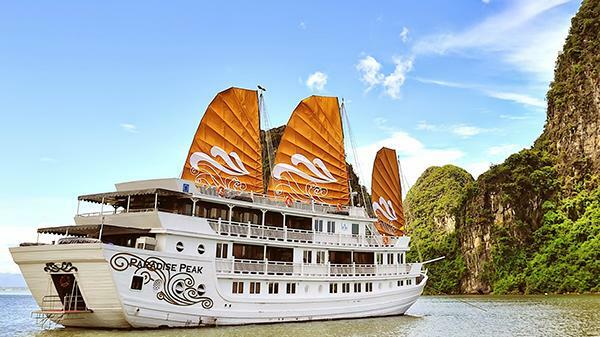 Unlike any other cruise in Halong Bay, the Dragon one is a brand new member of the Indochina Junk fleet, but it’s proudly acclaimed to mark the highest standard of cruise construction. Inside each cabin, the guests can choose many entertainment options, from enjoying their relaxing time in a spa, or spend the happiest hours in a bar to make your trip more engaging in the bay. Come to visit the magnificent natural wonder now for a relaxing day on the bay, and don’t forget to check out how a local life would be like during your cruise stay. If you want to try on some adventurous games, just go kayaking through the spectacular limestone islands and around the foot of Rocky Mountains. Doing so helps you to explore the newest levels of emotions for sure, especially when paddling around the bay. 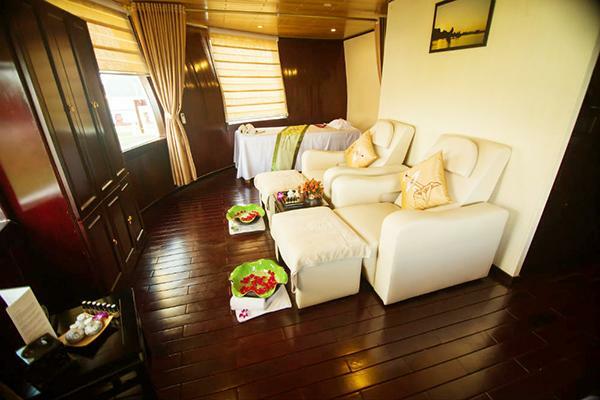 Amongst other cruises in Halong, it’s not exaggerative to claim the Paradise Luxury Cruise as a stylish and lavish boat that you shouldn’t miss on a trip to the bay. Not only owning a splendid 360-degree view of the whole bay scenery, but you will be also able to enjoy the most satisfying moments in the sunshine on deck, experience the nurturing spa facilities as well as the cozy atmosphere in all types of accommodation. 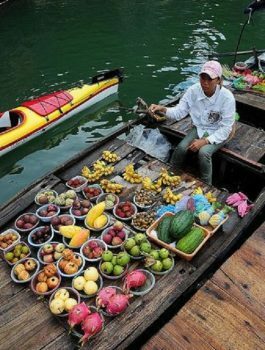 Most of the guests love to save more time for the foods discovery in Vietnam, so it’s not strange if you see how they’re right there, to enjoy the freshness of the oriental cuisine combined gently with the modern culinary trends in the world. Don’t miss a chance to help yourself locate the best European and Vietnamese cuisine blend that completely goes beyond the local gastronomy limits. Check out the menus and pick out your favorite from a wide range of Asian flavors and other creative dishes that can stir all your senses with the aromas of the sea. 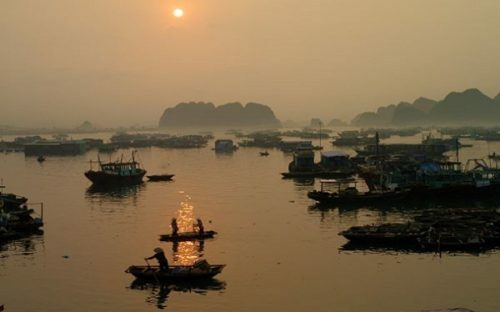 Do you want to make a trip to Vietnam’s UNESCO World Heritage that locates in the Gulf of Tonkin? Let’s nurture your emotions again with our top 4 recommendations on the best cruise in Halong Bay, and revive your senses again through their lavish services blending so well with the subtle nature environment right here.